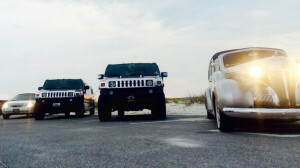 Bay Limousine (“Bay Limo” or “we”) recognizes the importance of protecting the privacy of information provided to us. We provide this notice to ensure that your expectations and our practices are aligned and to make you aware of your choices with regard to our use and disclosure of the information you provide to us. 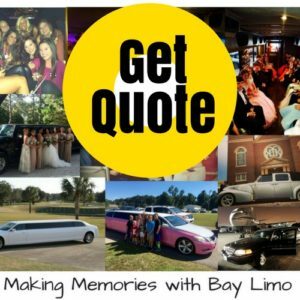 We consider all subscribers, customers, members, web visitors, event/webinar/website registrants, conference attendees, and speakers part of the Bay Limousine community. The following guidelines have been created to demonstrate our commitment to your privacy. In addition to the information you provide to us directly, we, our partners, advertising networks, advertisers or other third party service providers may also collect non-personally identifiable information when you visit our web pages, open our emails, or engage with any of our other products or services. This includes such information as type of browser and operating system you are using, your IP address, your device identifiers, your internet service provider, location-based information, and the content you interacted with, viewed, or accessed. This data may be combined and linked with data from other sources. We use Google Analytics re marketing, display network reporting, and analytics demographics and interest reporting. Visitors can opt-out of Google Analytics for display advertising and customize Google display network ads using the Ads Settings (https://www.google.com/ads/preferences). Visitors may also opt-out of additional data collection via the Google Analytics opt-out browser add-on. We use Re-marketing with Google Analytics to advertise our own products and services via the Google Display Network. Third-party vendors, including Google, show our ads on sites across the Internet. We and third-party vendors, including Google, use first-party cookies and third-party cookies to inform, optimize, and serve ads based on someone’s past visits to our websites. The information we collect is also used to improve the content of our web pages, to customize the content and layout of our pages, and/or to notify visitors about updates to our website. We do not share individual contact information about our members with advertisers or third party vendors unless it’s specified when the information is collected. We may offer contests, sweepstakes, promotions, editorial features or other offerings that are sponsored or co-sponsored by or presented with identified third parties. By participating in such activities or offerings, your IP address and the personally identifiable information you voluntarily submit may be provided to third parties we trust. Bay Limousine does not control the third parties’ use of this information. 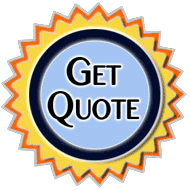 Generally, we will let you know at the time of collection if a product is sponsored. If you wish to change your contact preferences with an individual exhibitor/sponsor, please follow their own unsubscribe request details. Unsubscribing with Bay Limousine stops Bobit from sharing your information with third parties and from contacting you about issues not related to your subscriptions, but it does not affect any third-parties with whom we have shared your information from contacting you. In order to unsubscribe from communications from third parties, you must do that directly with the third-party company. Certain information — such as your password and credit card number — is never disclosed in any form whatsoever to any outside party and we do not cold call or solicit credit card information over the phone. We may disclose your personal information to selected third parties outside Bay Limousine for purposes associated with payment processing, the supply of products or services, for website administration or elsewhere when you have consented to such disclosures. These third parties are contractually bound to use personal information only to perform the services that we hire them to provide. In addition, we make available sponsored content, and content provided to us from third parties. In return for access to this content, we may ask you to provide us with personal information. When accessing content sponsored or contributed by a third party, your personal information may be shared with those third parties, and the information will be governed by those parties’ privacy policies as well as ours. Bay Limousine does not bear any responsibility for any actions or policies of such third parties. If you do not wish to have your information shared with a third party, please do not access sponsored or third party content on our site. In the event a currently owned Bay Limousine asset is acquired by a third party, in which case personal data will be transferred as part of that acquisition. If we are under duty to disclose or share personal data to comply with any legal obligation or in order to enforce our terms and conditions or other agreements or to protect the rights, property or safety of Bay Limousine. You may view and update information that you previously submitted to Bay Limousine by sending us an e-mail through the e-mail link provided above or writing to us at the above address. Current subscribers and registrants can also access and change their information by selecting the appropriate link in the email product, or on the website where their current subscription/registration resides. A request to change information may not be accommodated if the request conflicts with legal requirements or could result in incorrect information. Requests to view or change personal information may take a few days to process. Bay Limousine takes every precaution to protect your information from unauthorized use. When you submit sensitive information via our websites, the information is protected both online and offline.